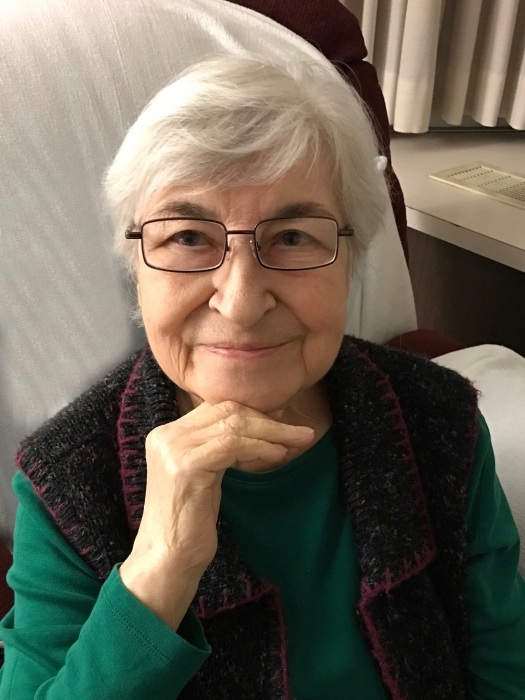 Youngstown - Vera Mileusnich, 85, died peacefully at the Hospice House on Friday morning, August 31st, 2018. Vera was born January 22, 1933 in Bacinci, near Novi Sad in what was then the Kingdom of Yugoslavia. Vera was a daughter of Miloš and Dorothy Brkich. Raised in Yugoslavia, Vera immigrated to Farrell, Pennsylvania with her sister, Nada, when her mother returned home to the states in 1951. She married Dušan (Dan) Mileusnich in 1954. They were married 53 years until his passing on August 8, 2008. They raised two daughters in Boardman, Ohio where they lived most of their lives. She had many interests during her life, including needlepoint, jigsaw puzzles, and collecting glass and art. However, Vera’s family was the center of her life. She loved her daughters dearly and their husbands Billy and Kurt as if they were her own. Vera is survived by her sister, Nada (Bill) Crago, daughters Nadine Powell and Yvonne (Kurt) Dickmann, and grand-daughter Alena Dickmann. She also leaves behind niece and nephew Diane (Roger) King and Danny Rubesich, and great-nieces/nephew Danielle (Eric) Papa, Shannon (John) Motsco, Diana Rubesich and DJ Rubesich. Per Vera’s wishes, a private memorial was held on Thursday followed by an interment at the Poland Riverside Cemetery. The Mileusnich family would like to thank her caregivers Liz, Phyllis, and Carla for the compassionate care they gave to Vera in the last years of her life. They would also like to thank all her friends at Park Vista/Ohio Living who became her second family. She loved you all very much.